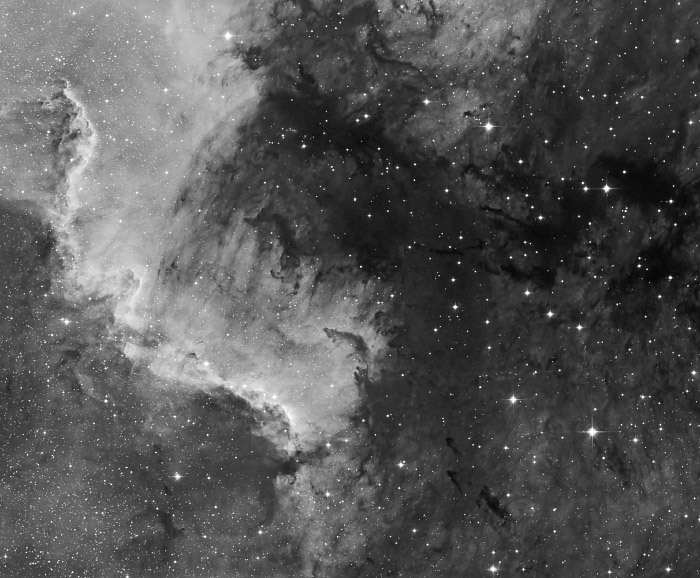 This image shows the southern part of the North American Nebula NGC7000 in central Cygnus. 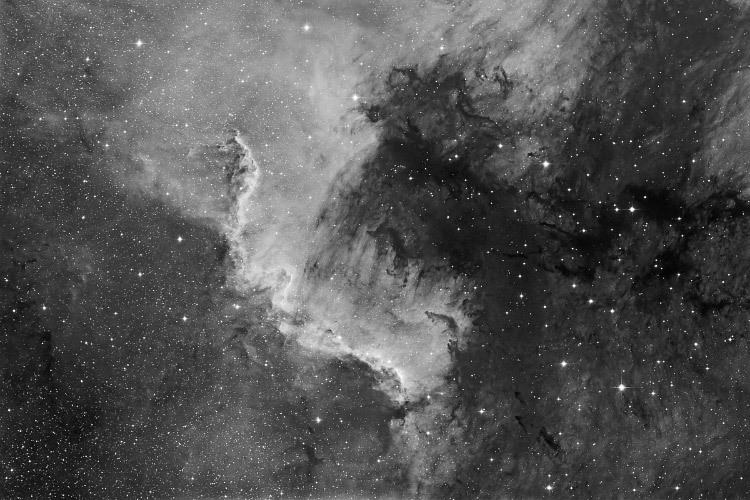 The famous cygnus wall, a highly energised shock front gives a high contrast to the deep adjacent gulf of Mexico, filled with complex dark gas and dust lanes. The light from young energetic stars is slowly transforming cold gas to hot gas, with the advancing boundary between the two known as an ionization front. Particularly dense and intricate filaments of cold gas are visible along the front. The distance to the North American Nebula is estimated at 1600 light years. North is up. Compare a wider view taken with the 4" refractor here. Below you find a 26/70% crop on the center of the image. Exposure Ha = 60 minutes (30-minute sub-exposures), all 1x1.